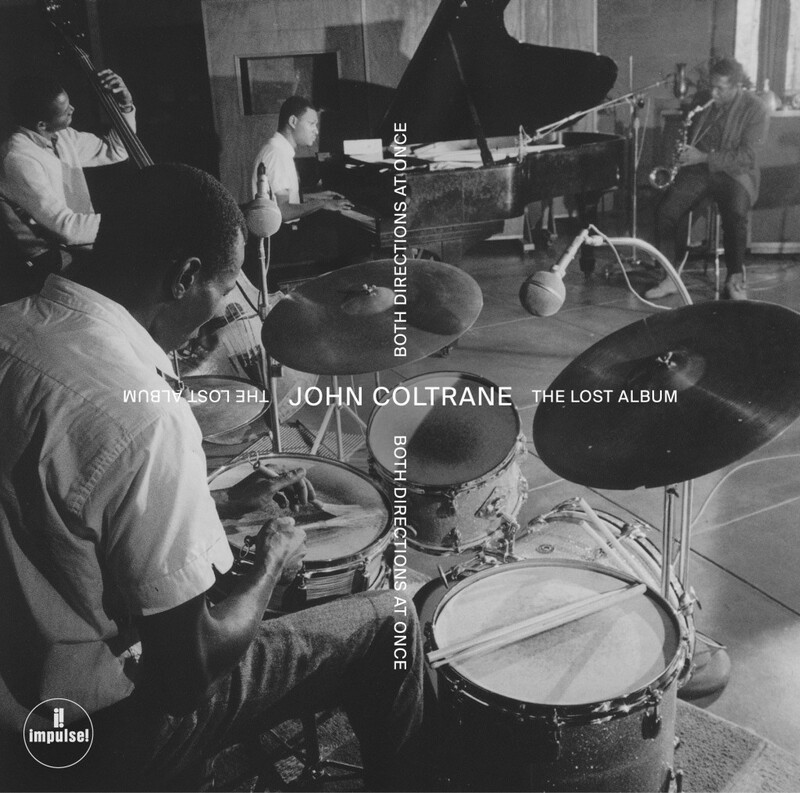 On March 6, 1963, John Coltrane and his Classic Quartet — McCoy Tyner, Jimmy Garrison, and Elvin Jones — recorded an entire studio album at the legendary Van Gelder Studios. This music, which features unheard originals, will finally be released 55 years later. This is, in short, the holy grail of jazz. Both Directions at Once: The Lost Album will be released on June 29 on Impulse! Records, Coltrane’s final and most creative label home. The first week of March in 1963 was busy for John Coltrane. He was in the midst of a two-week run at Birdland and was gearing up to record the famed John Coltraneand Johnny Hartman album, which he did on March 7. But there was a session the day before that was the stuff of legend, until now. “Impressions,” one of Coltrane’s most famous and oft-recorded compositions, is played here in a piano-less trio. In fact, McCoy Tyner lays out a number of times during this recording session. It’s one of the more interesting aspects of this session and reflects the harmonic possibilities that Coltrane was known to be discussing regularly with Ornette Coleman around this time. This incredible, once-in-a-lifetime discovery reveals a number of creative balances at work, like developing original melodies while rethinking familiar standards. Trying out some tunes first on tenor saxophone, then on soprano. Using older techniques like the arpeggio runs of his “sheets of sound” while experimenting with false fingerings and other newer sounds. This session was pivotal, though to call it such overlooks the fact Coltrane was ever on pivot, always pushing the pedal down while still calling on older, tested ideas and devices. This historic session resulted in 14 tracks in total. On the standard edition, there are 7 takes, chosen by Ravi Coltrane. The rest of the takes exist on the second disc of the deluxe set. There will be a standard CD and LP and a deluxe CD and LP available on June 29 on Impulse! The deluxe edition will exist on all digital streaming platforms as well. Impulse! Records was founded in 1960 by Creed Taylor and was home to John Coltrane, one of the label’s earliest signings. Known sometimes as “the house that Trane built,” the legendary label signed jazz artists such as Pharoah Sanders, McCoy Tyner, Alice Coltrane, Charlie Haden and the Liberation Music Orchestra, among others. Today, Impulse! sits under the umbrella of Verve Label Group, a division of the Universal Music Group. Artists signed to Impulse! include saxophonist Shabaka Hutchings and his groups Sons of Kemet, The Comet Is Coming, and Shabaka & The Ancestors, and pianist Sullivan Fortner. The Verve Label Group (VLG), a division of Universal Music Group based in New York City, is home to many of the most acclaimed artists in jazz and classical music, while also strongly focused on championing emerging talent across all genres. Verve Label Group is home to Impulse! Records, Verve Records, Verve Forecast, Deutsche Grammophon, Decca, Mercury KX and more.